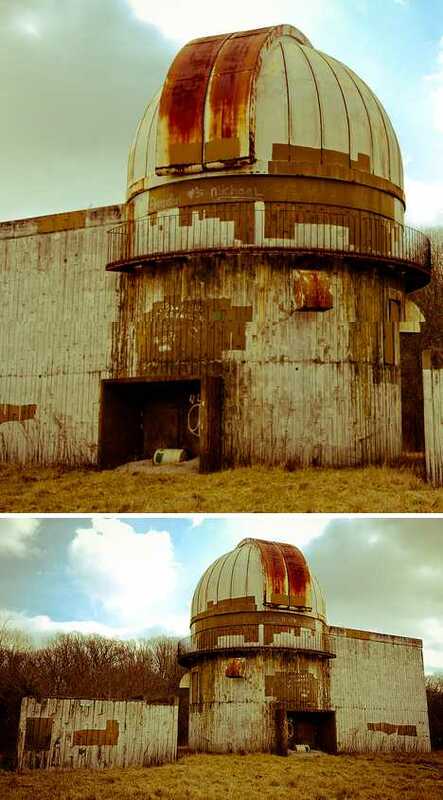 The outlook on (or from) abandoned observatories remains negative, mainly because there’s no one there to look up and no working optics to see through. 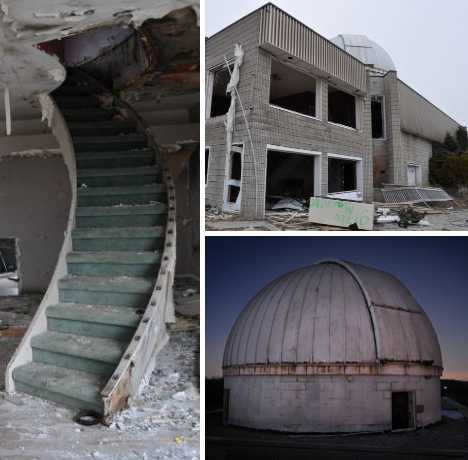 Casualties of war, funding, politics and light pollution, these 15 eerie abandoned observatories have definitely seen better days… and nights. 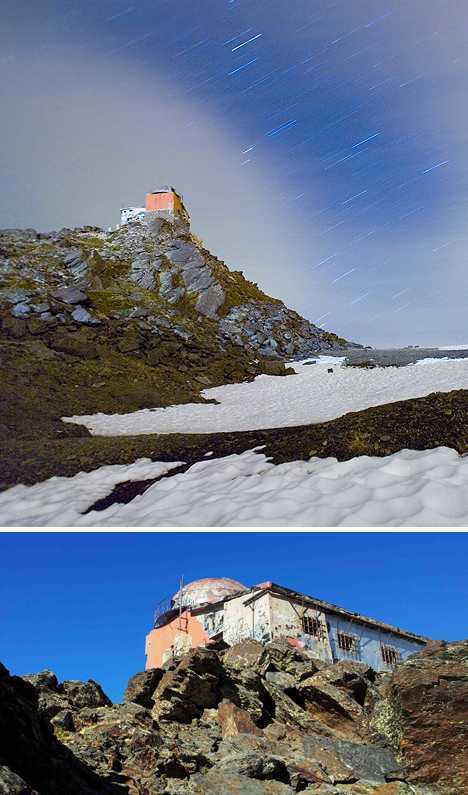 The Mohon del Trigo observatory was built in 1902 to take advantage of the clear, dry air 2,607m (8,553ft) above sea level in Spain’s Sierra Nevada mountains. By the early 1970s, however, its astronomical usefulness was on the wane – a new optical and radio observatory built nearby sealed its fate. 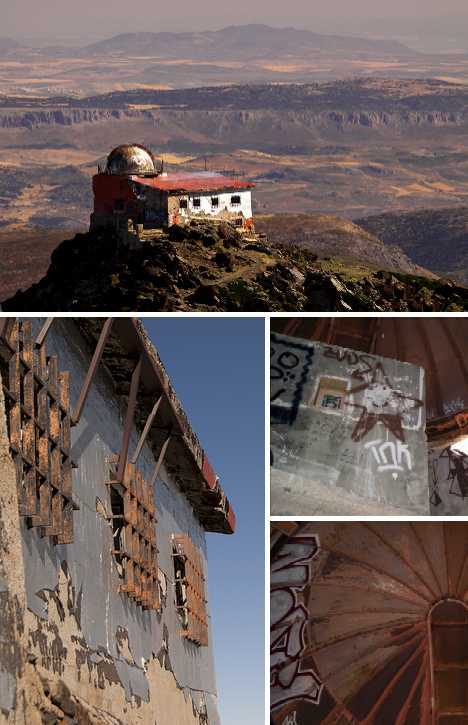 Left to the vagaries of weather and the indignities of graffiti artists, the Mohon del Trigo observatory slowly crumbles in situ, complementary with the slowly eroding rocks overlooking Pradollano in Andalusia. 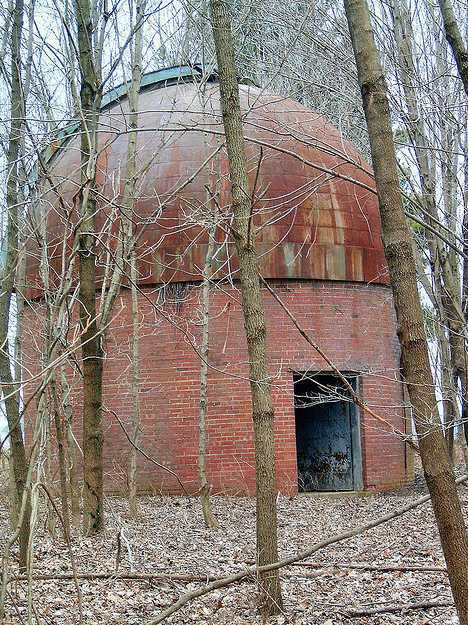 No one expects a town in Iowa to be named “Hills”, but everyone expects an old abandoned observatory to be found on Observatory Avenue… about 10 miles from the University of Iowa, to be exact. This simple, unadorned representative of mid-century American architecture no longer watches the heavens, it now watches the Earth for zombies and, of course, the Children of the Corn. Nobody’s listening in Nizhny Novgorod yet the metal ears of a host of radio telescopes still aim skywards. 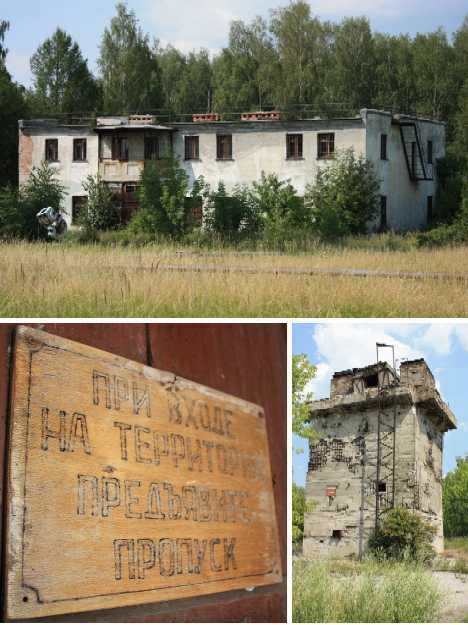 These rusty holdovers from the Soviet era were once cutting-edge scientific tools in what was then known as Gorky, a closed city where the focus was on Space Age military research and advanced weapons systems production. 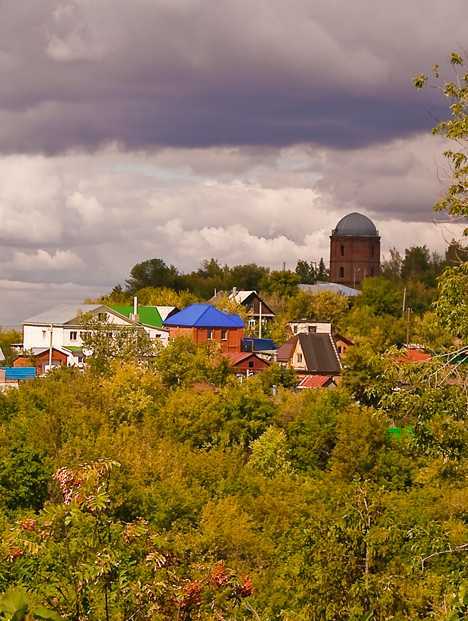 Though Nizhny Novgorod reclaimed its traditional name after the fall of USSR in 1991, years of chronic underfunding left many of its scientific installations out in the cold – literally. 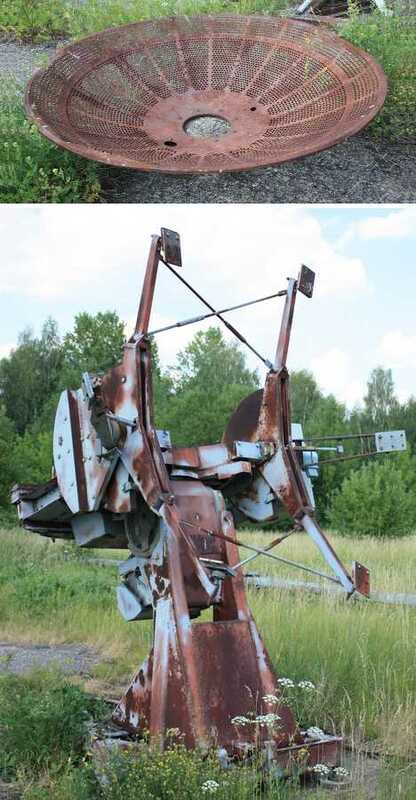 The only ongoing Space Race these days is between Mother Nature and local metal scavengers. 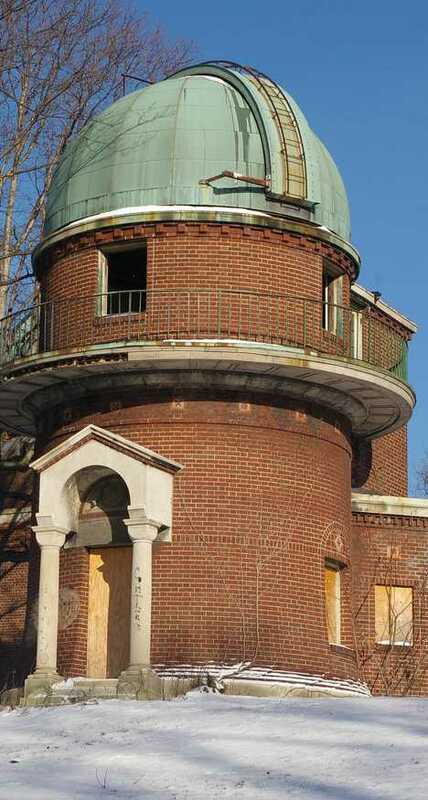 Dedicated in 1920, the abandoned Warner & Swasey Observatory was built by precision instrument makers Worchester R. Warner and Ambrose Swasey on Taylor Road, four miles east of the Case School of Applied Science in East Cleveland. The main dome originally housed a 9.5-inch refractor, then a 24-inch Burrell Schmidt telescope, and finally a 36-inch telescope as the observatory fought a losing race against light pollution from Cleveland. 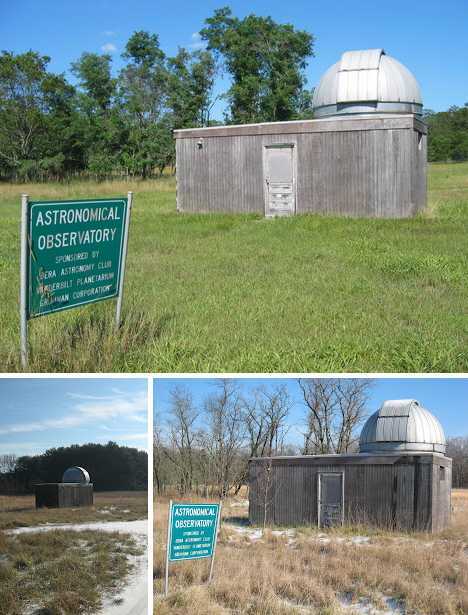 In 1983, following the removal of the 36-inch reflecting telescope, the property and buildings at Taylor Road were sold but remained unused and unmodified for decades. Real estate broker Nayyir Al Mahdi bought the property in 2005 with the intention of reinventing the twin-domed observatory building as a unique home but Al Mahdi’s conviction of mortgage fraud in 2007 put the kibosh on those plans. It may not yet be the Year of the Diamond Dogs, but when red mutant eyes gaze down on hunger city, you can bet they’ll do so from an abandoned observatory in Bashkortostan. 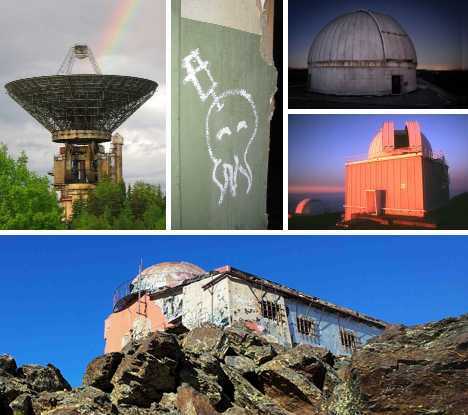 Not all observatories lead long and distinguished lives. Take the Jacobus Kapteyn Telescope, for example. Opened in 1983, its dome sheltered a 40 metric ton, 1-meter-mirrored ‘scope that was deemed obsolete a mere 20 years later. 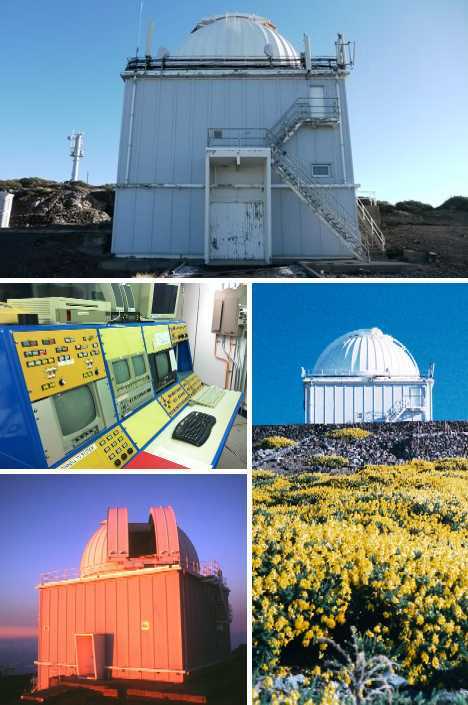 Rising above the clouds of La Palma in the Canary Islands, the JKT was taken out of service as a common-user facility in August of 2003 and the infrastructure will likely molder away as-is due to the difficulty and expense of removing it. Bellport, on Long Island’s south shore, may not seem to be an obvious location for an observatory but there it is, like it or not. 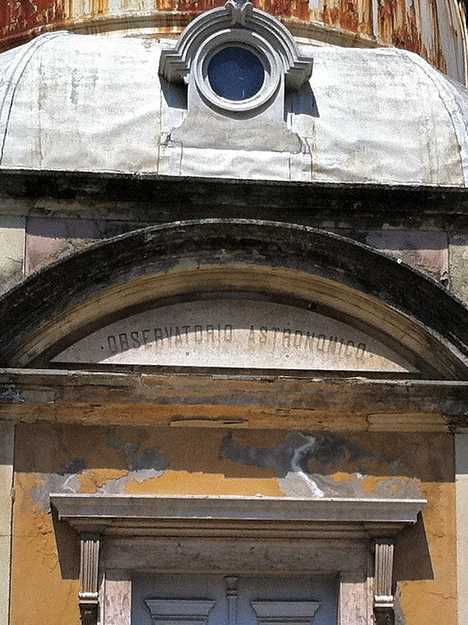 Seems as though those who frequented the grandly named “Astronomical Observatory” chose the latter option. Innisfil Observatory, located around an hour’s drive north of Toronto, Canada, wasn’t exactly a big-league observatory nor was it your average home, but perhaps the best that can be said is that it combined features of both. All well and good until the owner’s finances did a black hole act which led to said owner doing a vanishing act. Pity the eyesore he left behind couldn’t do the same, but at least its ruins offer urban explorer/photographers plenty worth observing. Originally constructed in 1976 by Heinz Lorenz for the Canadian Astronomical Research Group’s 24-inch telescope, the building was decommissioned in 1997 and sold, ‘scope-less, to a Vietnamese civil engineer. 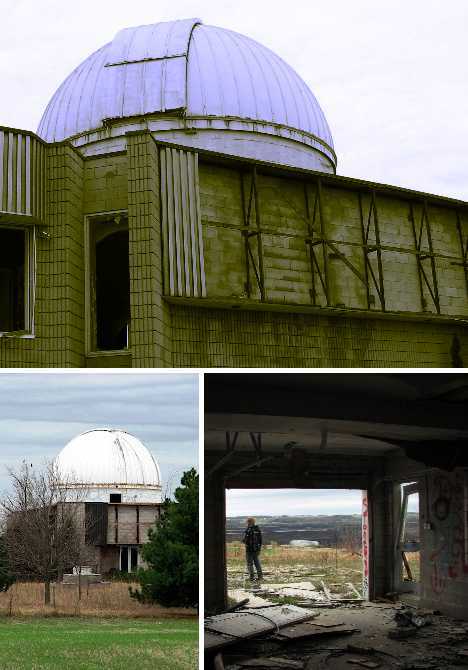 Kudos to the intrepid members of UrbEx Barrie for recording the interior “furnishings” of the gutted, vandalized and graffiti-blighted Innisfil Observatory. The group’s musically-accompanied, somewhat Blair Witch-like video of their visit can be viewed here. 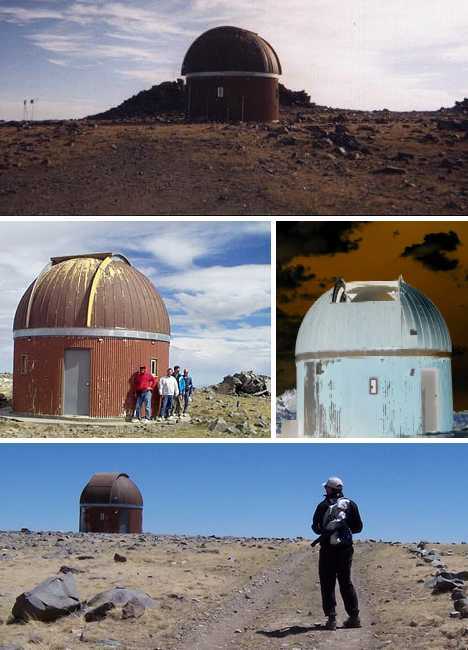 The “small dome” at the Barcroft High Altitude Physiology Laboratory (not to be confused with the main observatory dome built in 1976) was constructed in the 1960s, 12,750 feet up California’s White Mountain in about as desolate a landscape as one can find short of Antarctica’s Dry Valleys. The weather-beaten dome and corrugated sheet metal walls of the lower level look even more alien due to the quintapod instrument set up nearby, and why not? The inhospitable conditions near White Mountain’s 14,246ft high summit would probably appeal more to Martians than humans anyway. 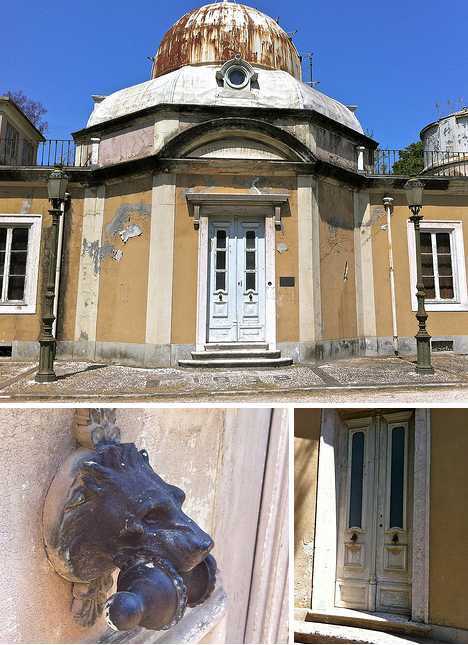 Lisbon’s Botanical Garden (Jardim Botanico) may be one of the Portuguese capitol’s lesser-known attractions but that doesn’t mean it’s well worth visiting. Among the wealth of exotic plants on display are an abundance of gracefully aging buildings such as the tropic-exotic “Observatorio Astronomico”. Festooned in peeling pastel paint and running rivulets of rust, the Observatorio Astronomico hasn’t observatorio’d any astronomico-licious sights for the better part of a century but one wonders what it must have been like back in its heyday, strolling on up to the front doors and announcing one’s self via those incredible lion knockers! 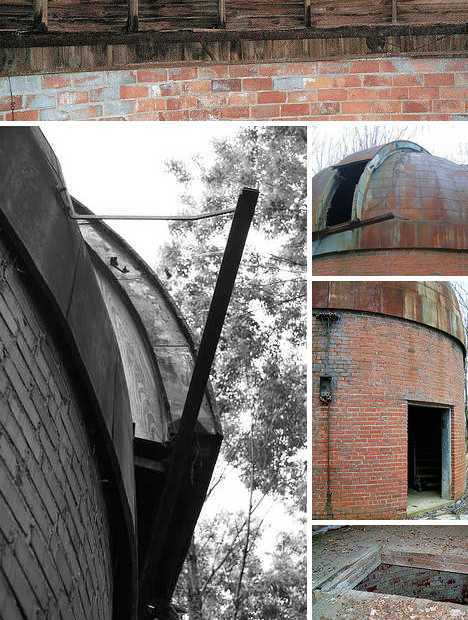 You’d be forgiven for mistaking the silently rusting observatory above for just another silo, being that it’s situated smack dab in the middle of Illinois farm country. 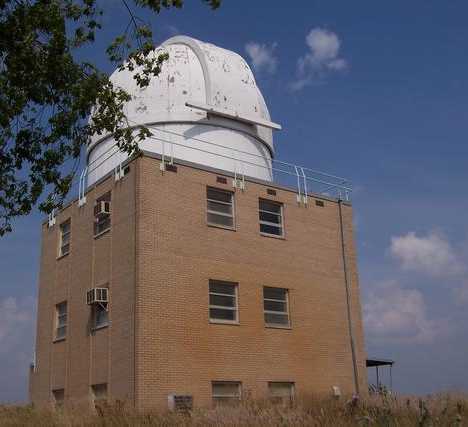 We’re not forgiving the anonymous observatory builder, however, who thought flat, moist, mid-western pastures were an ideal location for a sensitive astronomical instrument typically sited in deserts or mountaintops. 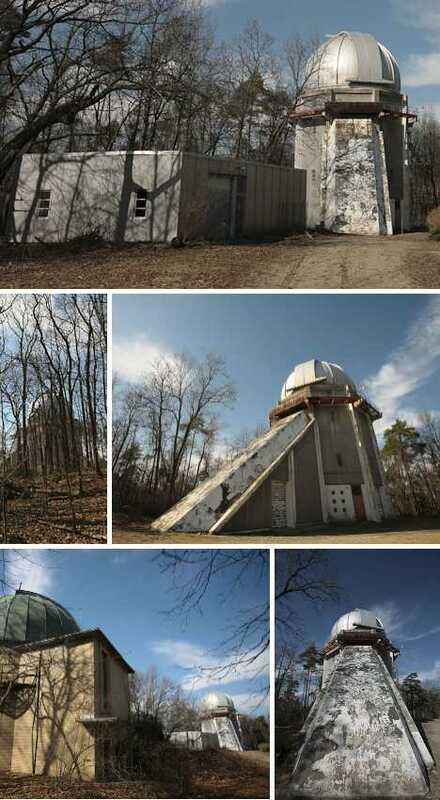 The abandoned Indiana University observatory at Knightridge, near Bloomington, was built in 1936-37 and boasted electric power. 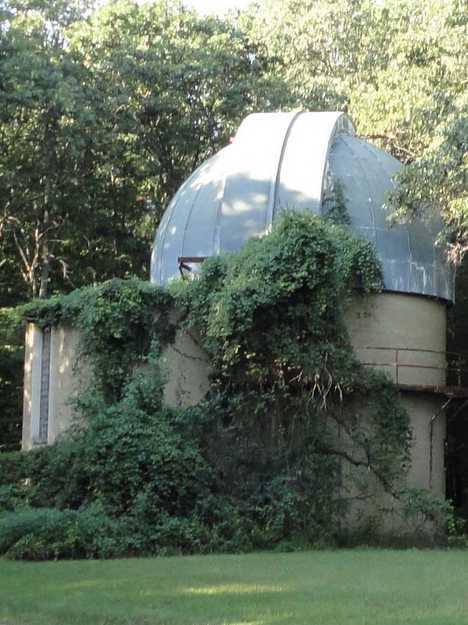 When its 4-ton, cast iron framed optics were transferred to the Paul H. Robinson Observatory in New Jersey sometime in the mid-1960s, the observatory build was stripped of usable mechanical parts and left in the woods to molder away. Over three quarter of a century later, the brick & mortar lower level has held up remarkably well while the wood-framed dome is showing its age. If not for an unlucky blow from a falling tree, the observatory would be in much better shape. 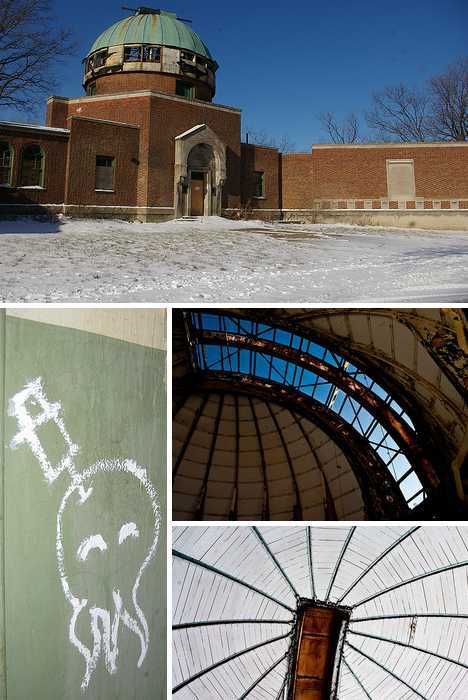 Nobody has any use for it, however, so maybe the decline and eventual fall of the Knightridge Observatory is all part of the great circle of telescopic life. 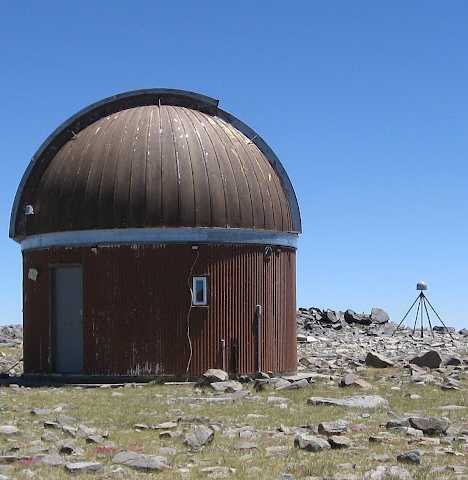 Think of domed buildings in Central Asia and observatories don’t immediately come to mind, which is understandable as some of Kazakhstan’s older, abandoned observatories have lost their domes – but gained character in the process. 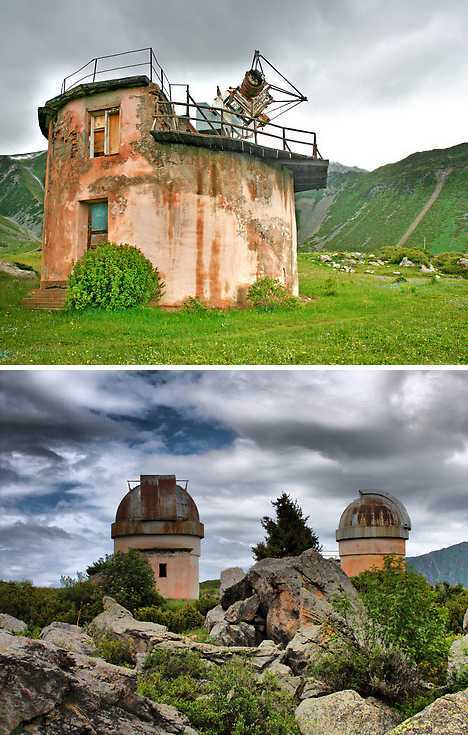 The abandoned observatories above are nestled in the foothills of the storied Tien Shan Mountains, relics of the Soviet age of engineering and empire. 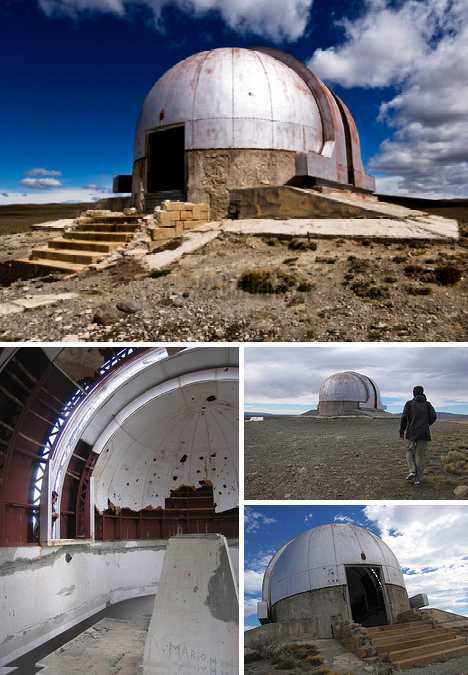 How lonely must the astronomers sentenced, er, sent to work at the now-abandoned Austral Felix Aguilar Observatory in Santa Cruz have felt, surrounded by mucho nada bar the endlessly howling Patagonian winds? Perhaps that’s why it was abandoned: staffing the outpost was one problem, supplying it was another. Observatories are ideally sited in remote areas free from light pollution and traffic vibrations but can you get too much of a good thing? Si senor, si. University of Michigan’s Stinchfield Woods were once deep, dark, and seemingly the ideal location for large telescopes. Times changed and although the woods are making a comeback, the University’s ‘scopes are not. Light pollution from nearby Ann Arbor has rendered UM’s various optical telescopes ineffectual though a host of radio telescopes continue making valuable observations. One of the newer UM observatories opened as recently as 1969 and architecturally at least, has held up rather gracefully. The 1.3 meter reflector it was built to house, on the other hand, has “retired” to Kitt Peak, Arizona where it continues to perform at the McGraw-Hill Observatory. 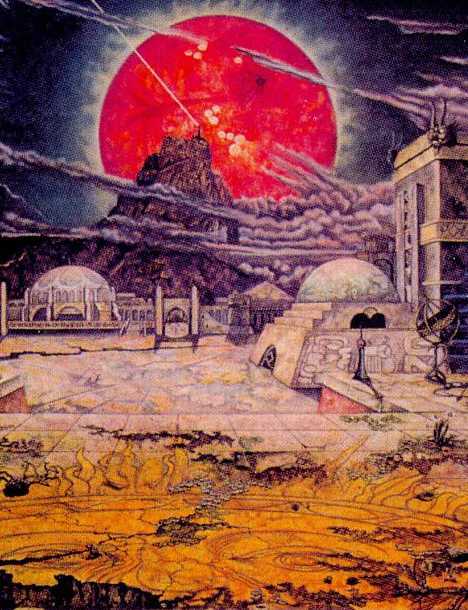 Cultural milestones or disposable conveniences, observatories have played different parts at different stages of human civilization. Their remoteness – whether on towering peaks and/or away from unwanted city lights – acts to extend their staying power. 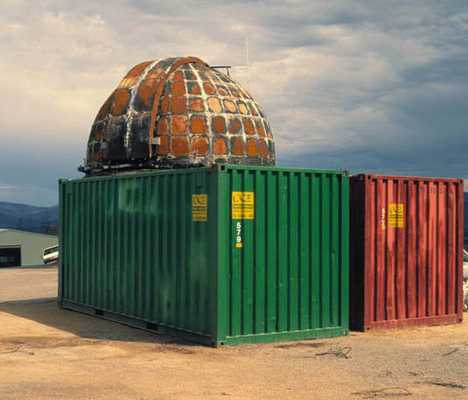 Who will observe the remains of our observatories when their builders have moved on?